This would be the twenty-fifth book of The Alphabet; in the Alabama edition of that major assemblage, twenty-five years in the making, “You” begins on page 903, a long way in. Fifty-two sections, one for every week of 1995, each consisting of seven daily prose paragraphs, typically one, two, or three sentences each day. You write what you see, what you overhear, what news local (floods) or world (wars) occurs to you or impresses you, what you remember, what you know or think you know during these days. In one “You” is the diary in New Sentences of a year. And it happens to have been a crucial annum for Silliman, who in ’95 made a big move from San Francisco to Philadelphia. In section XVII (by our count, this would have been early May), “You” marks the poet’s final week as a resident of the Bay Area. Certain birds (will you miss them?) wake him. Floppy disks might need to be copied (to secure files?) but aren’t. Would Philly be a haven for you, such a bookish person? “Last chance to buy books.” (Are there no good bookstores where you’re going?) “To the question, ‘Is your house lined with books,’ I reply. ‘No — stacked.’” Would the move from a region and a community that had productively tolerated — and also specifically encouraged — the emergence of a poetic style thwart or disorient the maker of these sentences? Section XVIII, dedicated to “Bob and Francie” (that would be Bob Perelman and Francie Shaw), locates Bay Area friends who’d gone East ahead of you. Despite such indications of continuity and familiarity — and despite the yearlong project that must go on, despite the chaos of relocation — you find a new landscape (“A cloudless sky but for the power plant. An old small town at the center of this development.”) and a certain new anxiety over aesthetic belonging. Can a so-called “Language poet” thrive in “P=H=I=L=A=D=E=L=P=H=I=A”? 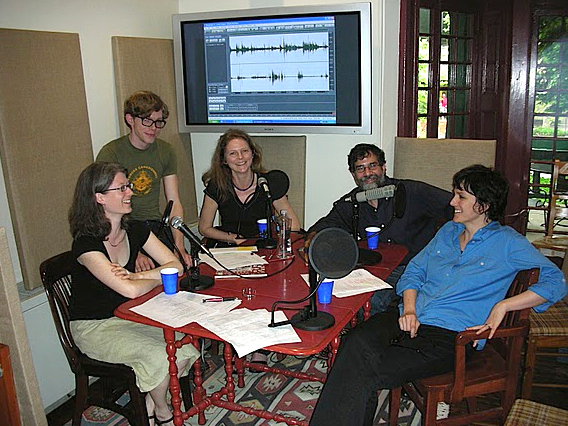 The same Bob Perelman, the Language compatriot who had awaited you at that site almost at the other end of the continent, joined us, these years later, for an episode of PoemTalk about “You.” So did Rachel Blau DuPlessis, another longtime Philadelphia mainstay (to say the least). As did Frank Sherlock, a third Philadelphia poet, associated with the new PhillySound and someone who, with his local comrades, have welcomed Silliman — and whose work has been commended by Silliman on his eponymous blog. And the conversation was moderated this time by Michelle Taransky (a fourth Philly poet in the room), generous guest host, who sat in for Al Filreis while he was away. The discussion considers in particular sections I and XII of the poem, but almost immediately sets out to offer general commentary on Silliman’s politics of form. In the myriad separate non-syllogistically arranged observations of “You” there is always apparent “a strong urgency of the anti-hierarchical,” as Rachel puts it. Parts are never gathered into a platonic whole, and this in itself can have a “social” and indeed “liberatory” aspect. Consider the second paragraph in section I, a paragraph presumably written on the second day of the year. January 2, 1995: “the idea of history shudders” as you absorb news of possibly genocidal convulsions “[i]n Grozny, in Bihac.” Here “You” “records” “world events” diary-like — ripped, as they say, from the daily newspaper. But then you seem to know of a thorny rose, laid upon a mass grave. And then, but not of course sequentially, you see and overhear, in a café, two young men arguing “the value of a pronoun” over their strong coffee. The pronoun — is it the poem’s titular second person? the poet’s Recording Angel self? an abstract way of talking language without political consciousness, like a linguist? — does not separate from, nor subordinate to, history’s shudderings. No more or less relevant. You are not there to judge (nor to subjectivize — other than to be the one on that day to observe it) the café argument about language just because it occurs in a time of war engaged elsewhere. After all, who knows but that in the non-transparent concept of “you” — not the selfhood of I but the difference of Other — lies an effective understanding of the world’s crises? 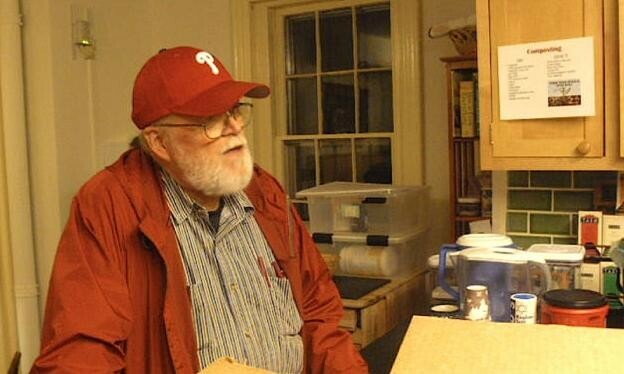 At a PhillyTalks event, just a few years after Silliman became a Philadelphian, he read sections 1, 2, 3, 5, 6, 7, 8, 12, 17, 19, and 23 of “You.” Here is a complete recording of that January 1998 event at the Kelly Writers House. Later, in 2000, at a Segue Series reading, he read sections 17, 18, 26, 38, and 52. (Here is that recording; the reading from “You” starts at around three minutes in.) Here is our recording of section I: MP3. And here is section XII: MP3. All of this audio, and more, is available at Silliman’s vast PennSound page. 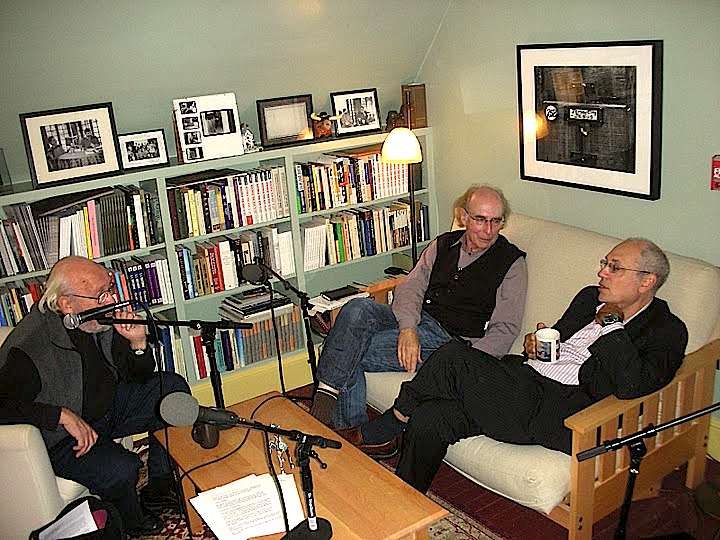 PoemTalk’s producer for this episode was, as always, Al Filreis, and our editor was, as always, Steve McLaughlin. 1. This is prescient, indicating what a sensitive close reader of the newspaper Silliman is. It was not until June 2008 that a grave containing the remains of 800 people was found in Grozny and publicized by human rights organizations. Witnesses then were able to specify that the mass burial of civilians had begun on January 1 and 2, 1995.